Description Hareline Lady Amherst Center tail - indispensable for tying your Intruders and Atlantic Salmon flies. NO Sales Tax and free shipping on most orders. A small pinch of these Lady Hareline Lady Amherst Center tail tippet fibers make beautiful tails. 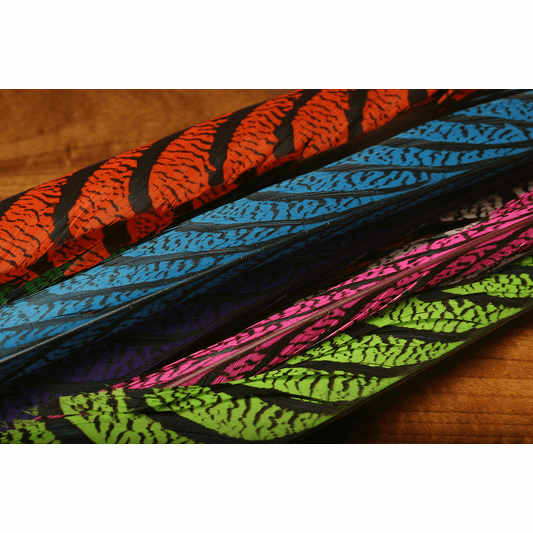 We strip fiber from the largest feathers and spin Lady Amherst Pheasant in a dubbing loop to wind on hook shafts and tubes for our Intruder style flies. Colors? We a great selection of colors. The crown Jewell of our traditional Atlantic Salmon flies as well as the all-popular Intruder style flies. We take care to tie Hareline Lady Amherst Center tail feather fibers directly in traditional Salmon fly wings. We spin these in a dubbing loop for our Intruders and jolt them into biting patterns. 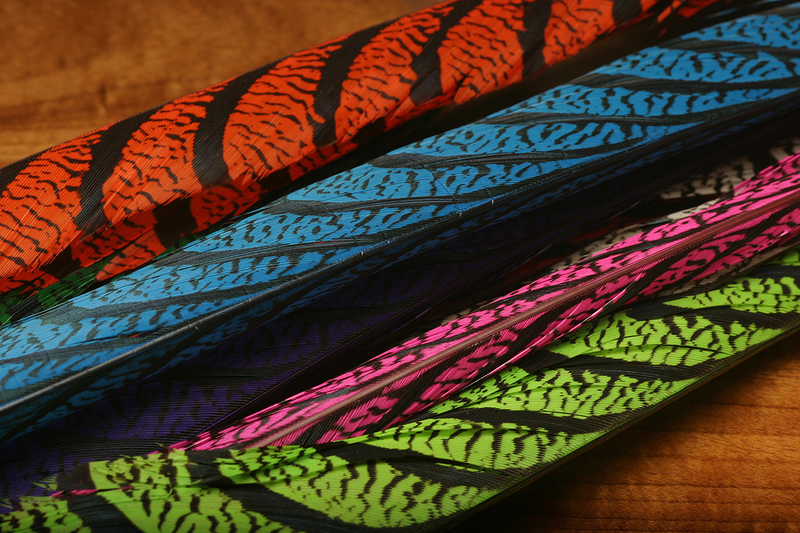 We got the all the colors you want in your flies. 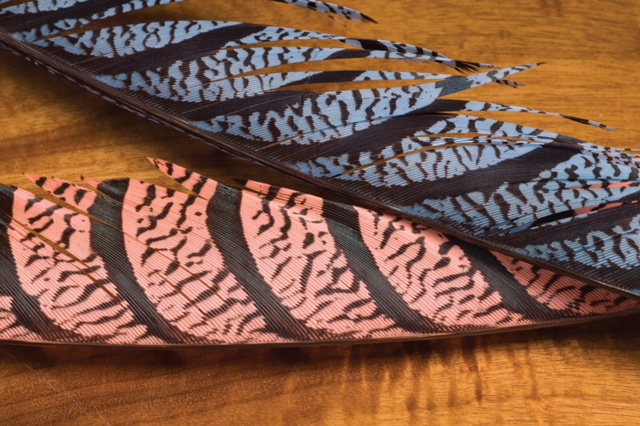 These feathers represent the most sought after, longest, and most select center tail feathers from the Lady Amherst Pheasant. Dyed in colors like hot orange, Kingfisher Blue, Hot Pink, Chartreuse, Highlander Green, sunburst Yellow, red, and Purple, these are highly sought after by crafts persons who tie flies for salmon and steelhead, and are often considered the crown jewel of crafts-person's and artisan�s head dresses and feathered masks and costumes.